Bourdain spouts so many sublime quotes on a daily basis -- all while looking like the chillest guy in the universe -- that it's hard to believe he's real. Well, you can finally see him in the flesh this summer, when the man embarks on a 10-city tour across America. According to Eater, his stops will involve plenty of story-telling and food discussion, as well as a Q&A at the end of each event. 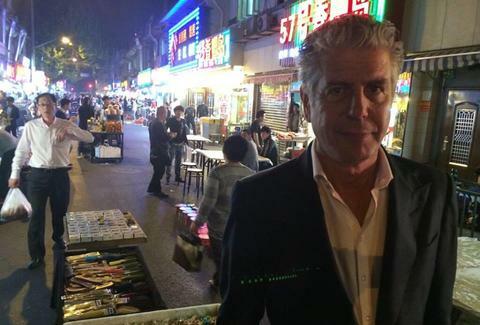 The Close to the Bone tour will begin on July 7th in Nashville and end July 30th in Chicago, but Bourdain will be stretching far beyond that region. His other stops include Houston (July 8th), Austin (July 9th), Dallas (July 10th), Atlanta (July 11th), Minneapolis (July 24th), San Francisco (July 26th), Seattle (July 27th), and Portland (July 28th). You can claim your seats here beginning April 17th, then spend the next three months pondering your big Q&A question. Kristin Hunt is a Food/Drink staff writer for Thrillist, and would like to know what's wrong with New York, Bourdain. Follow her to resentment at @kristin_hunt.